What is the best way to envision a home you are planning to build? Take a tour–a 3D tour! 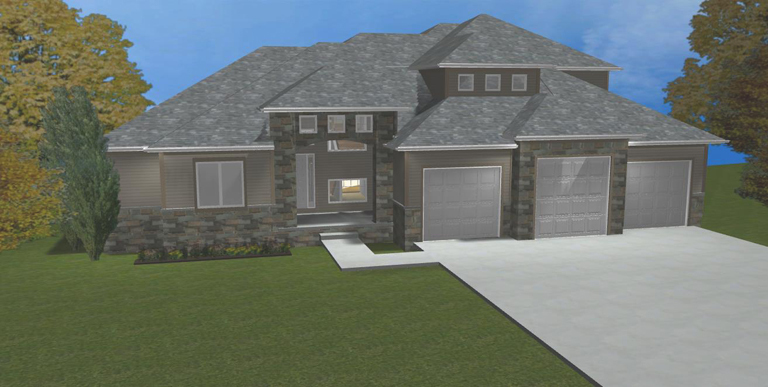 At Landmark Performance Homes we utilize a 3D software that allows clients to see a floor plan with their custom changes. Once we have met with a client and determine their wants and needs in a home we layout the plan and in future meetings can take the client on a “tour” of their plan. An example of a 3D elevation rendering is below. In addition to 3D software we have videos of many of the homes we have built on our website, www.buildalandmark.com as well as on youtube.com under Landmark Performance Homes. These videos are wonderful for our clients to familiarize themselves with a particular plan and really get the feel of the home so they know what they like and what they may do differently. These tools prove very helpful for clients to envision their concept prior to construction. Learn more about what Landmark Performance Homes has to offer at www.buildalandmark.com.